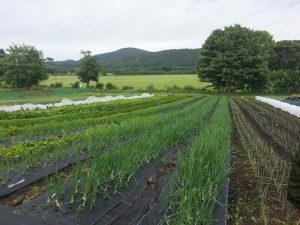 What is happening in ‘Making a Living from Local Food’ this year? 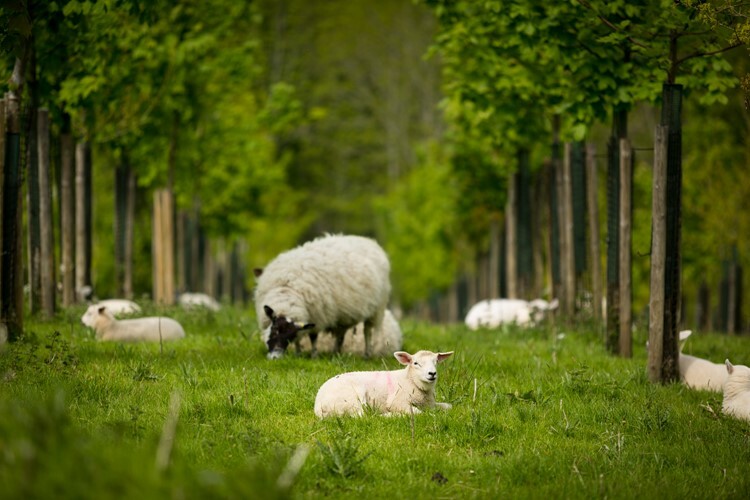 Making a Living from Local Food – Tell me more…. This programme is funded by the Prince’s Countryside Trust and is now in its second year. 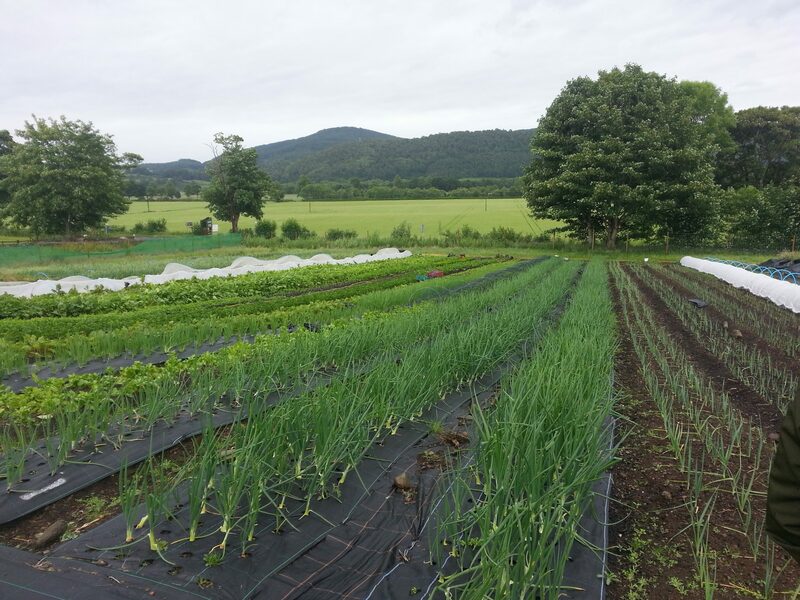 It supports local sustainable food businesses that have recently established themselves. The participants are put into peer groups, each of which has a mentor with whom they can discuss their learnings and daily challenges. We are also putting together some online resources that range from links to resources and information about a wide range of everyday matters such as how to put together a business plan, what information needs to be displayed on a jam jar label, what costs, benefits and processes are associated with going for organic status, or what sources of funding might be available for fencing. Over the 9 or so months that the programme runs each year, we organise three large meetings (one at the beginning, one in the middle and one at the end) to which all participants are invited to meet over food, guest speakers and site visits/tours. Between these events, each participant is offered regular one-to-one coaching with their allocated mentor, plus regular meetings with their peer groups. Each peer group has five members: five small businesses clumped in one area of Scotland, and these tend to meet up with each other at one of their or their mentor’s business sites roughly monthly. …and our participants this year? 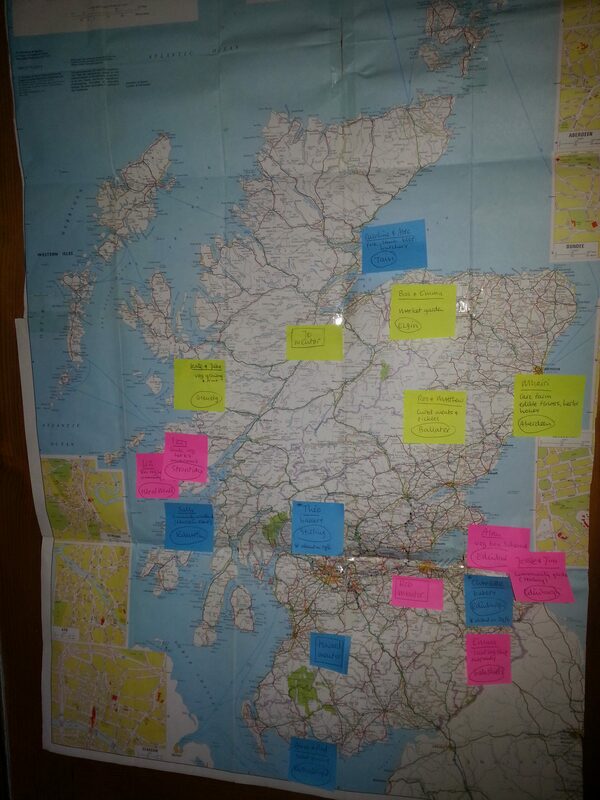 Our 2017 participants are spread across Scotland! There are 22 participants this year and they are a great mix. There is a good gender balance, and they vary in age and life stage. Some are just setting out, whilst others have made a life-changing decision to start up anew after long different non-rural career. They are located across Scotland: from Mull, in the West, to Aberdeen in the East; from Tain up North, to Kircudbright in the South. There are some already well-established businesses, and other newer ones. 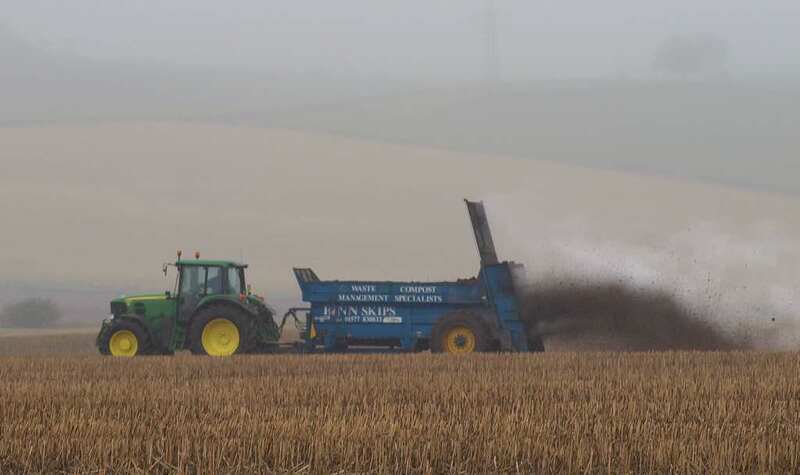 There is a range of different businesses involved: there are growers of mushrooms, flowers, soft fruits, herbs, orchards, and veg; livestock raisers of cattle, sheep, hens and pork. There are a couple of bakers and other food processors including preserving, drying, smoking and pickling of meats, vegetables, fruits, flowers, herbs and teas, and more. This great mix of people has a huge resource between them that the programme enables them to tap into. We brought our participants together for the first time in June: 16 participants, the mentors and Nourish organisers gathered at Comrie, Perthshire. It was great to see this group of ‘strangers’ get to know each other and feel encouraged to share their life stories and challenges. The venue was nicely central and its do-it-yourself approach gave us the chance to organise it exactly as we wanted it. We acknowledged the importance of food (! ), so we brought home-baking, fruit, hot drinks and cordials for starters. For lunch, we asked everybody to bring a contribution which, gathered together on a large table, made up a glorious colourful delicious display of salads, meats, fish, cheeses, chutneys, pies, and more, which we shared at a leisurely pace. 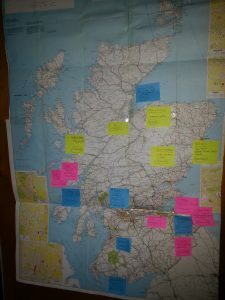 We put up a map of Scotland with participants’ profiles and planned plenty of time for everybody to shared their incredible stories which greatly inspired us all. They then worked in their peer groups with their mentors, to discuss everybody’s expectations, roles and commitments; make arrangements for future meet ups, AND discuss important things like how to keep the snails at bay, deliver fragile salads fresh to fussy local chefs, or timetable a weekend off. In plenary later, we discovered that there are too many snails everywhere in Scotland, that there just never seems enough time for a weekend off for any of us and all sorts of other challenges big and small, and that we seem to share them. 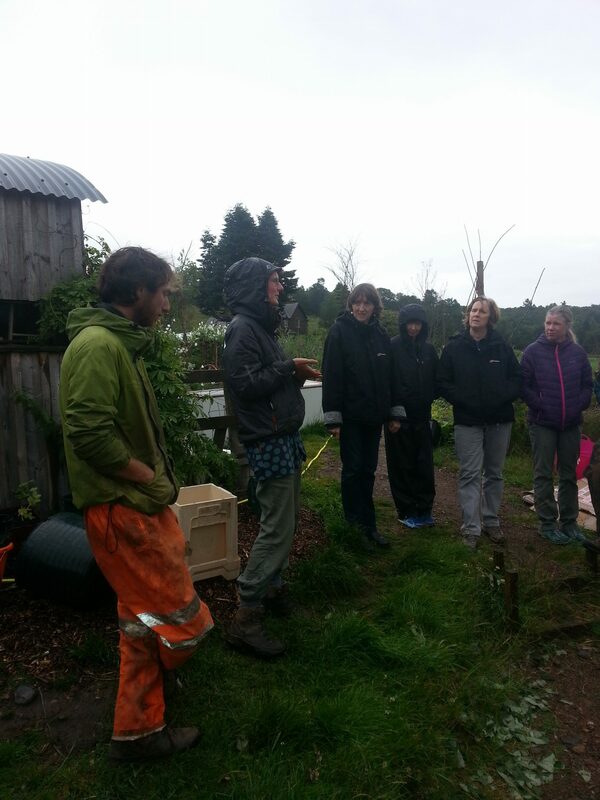 We concluded our day with an interesting tour round Sam and Judith’s flowers and veg growing business Tomnah’a (they were in an earlier version of this programme a couple of years ago). Sam’s modest and open commentary was led by our group’s questions and sparked discussion of lots more practicalities, and helped establish yet more common ground between everybody. It was inspiring to see the project’s achievements in the short time it had been around; and the lessons that could be learned from how it had developed were quite powerful. And what did they say about this meeting? The feedback forms everybody completed had no surprises. They especially appreciated: sharing their ideas and the excellent food, making contact with each other and the mentors, the good atmosphere, the openness and relaxed structure, the good venue. Their comments sum up how valuable a meeting like this can be, why it is ALWAYS worth spending the time, money and other resource on a well-planned gathering (and how an abundance of tasty nutritious food also helps!). Would you like to come along to the Making a Living from Local Food networking event on the 2nd of October? More details here.